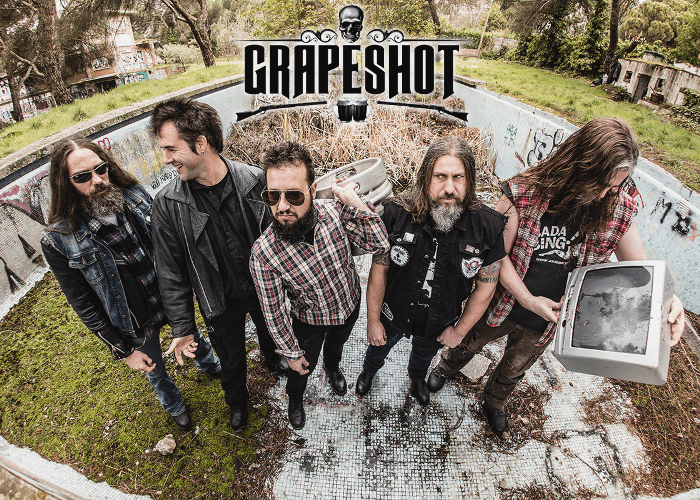 GRAPESHOT is a Spain, Madrid-based Metal band formed in 2009 by two guitarists Jose (former Elecktra) and Javi. The band has been on the road since 2011 when they finally had a stable formation. They are offering music which combines with thrash, death, and groove metal or stoner rock while having constant live shows. They recorded their first EP “Sons Of Betrayal” in 2011, and then released the first album “The Scene” (2014) and the second album “All About To End” (2017). The latest album “All About To End” was released on February 2017 and is available HERE. The band reached the national finals of the Wacken Open Air Metal Battle twice of 2013 and 2016. GRAPESHOT also got winners at Arrastro Rock Fest Band Contest 2015 and at Metal Lorca Band Contest 2016. They have domestic tours in Spain constantly and will embark all over Europe near future. 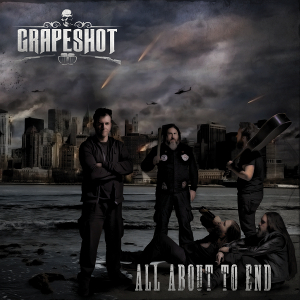 Since their sound was influenced by Slayer, Metallica, Machine Head, Lamb of God, Pantera, Motorhead, Black Sabbath, Mastodon, Slipknot, System of a Down, Rob Zombie, Mudvayne, Dry Kill Logic, Red Fang, Clutch, and Hellyeah, fans of those artists will like GRAPESHOT's music as well.